...time for an early start. We had the sea kayaks loaded and on the water by 0730! 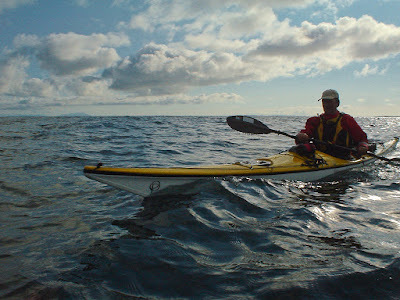 David hadn't ever realized that there were two 7:30's, every 24 hours! 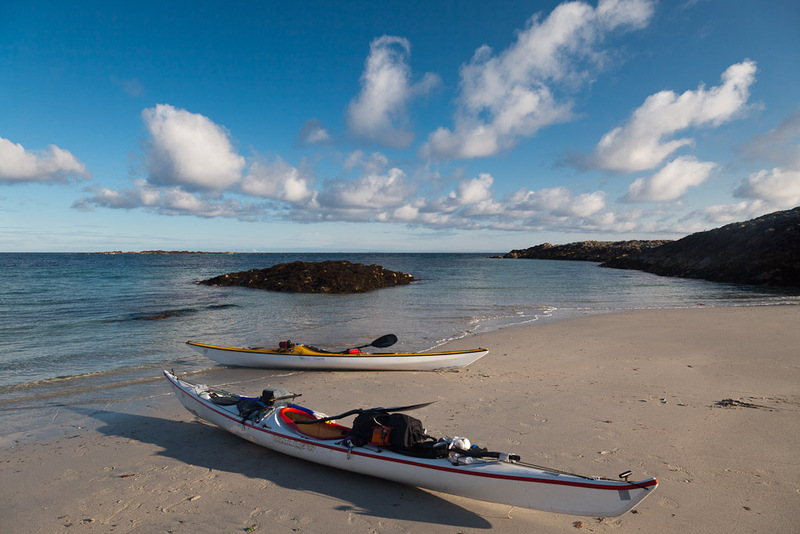 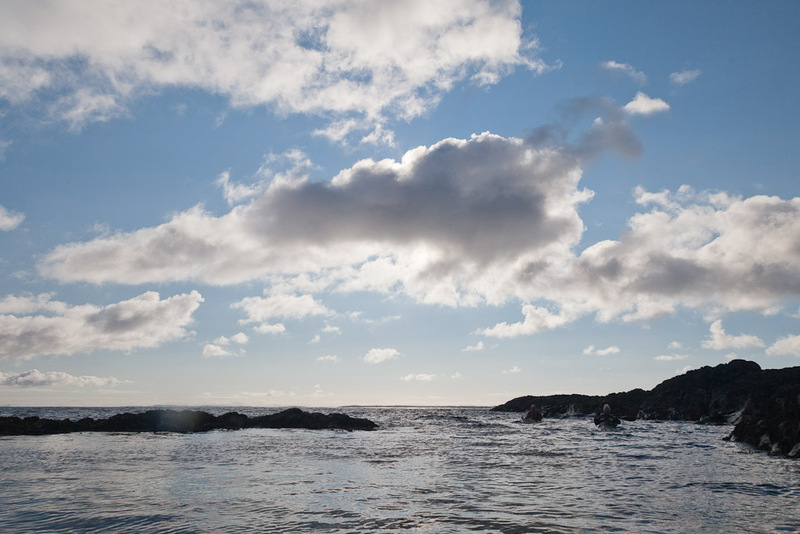 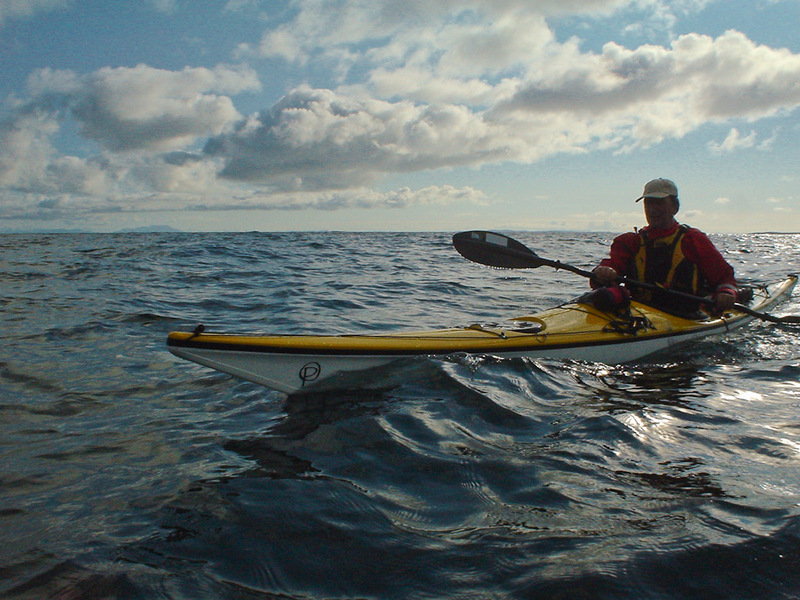 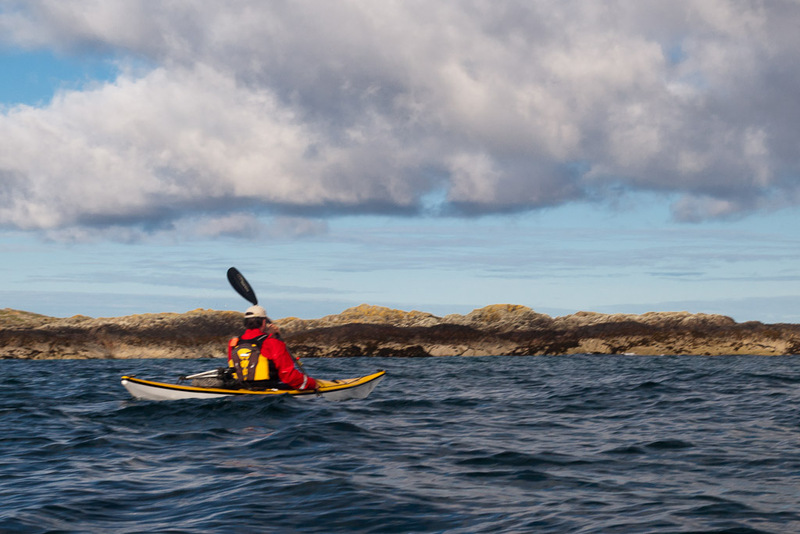 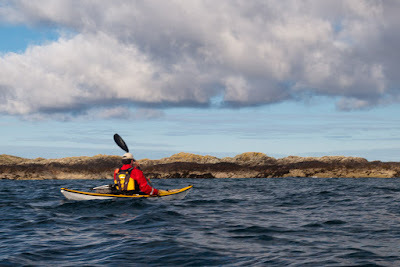 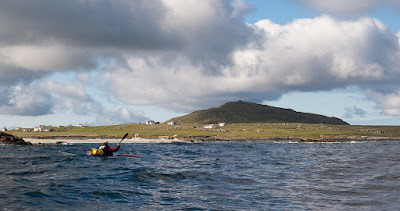 We were soon weaving in and out of the skerries as we paddled west along Tiree's north shore. 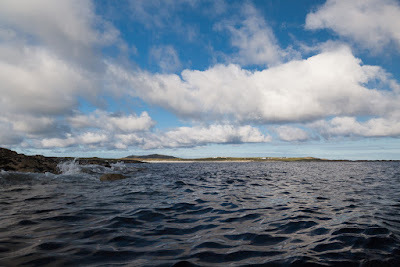 This was near Barna-Sgeir. 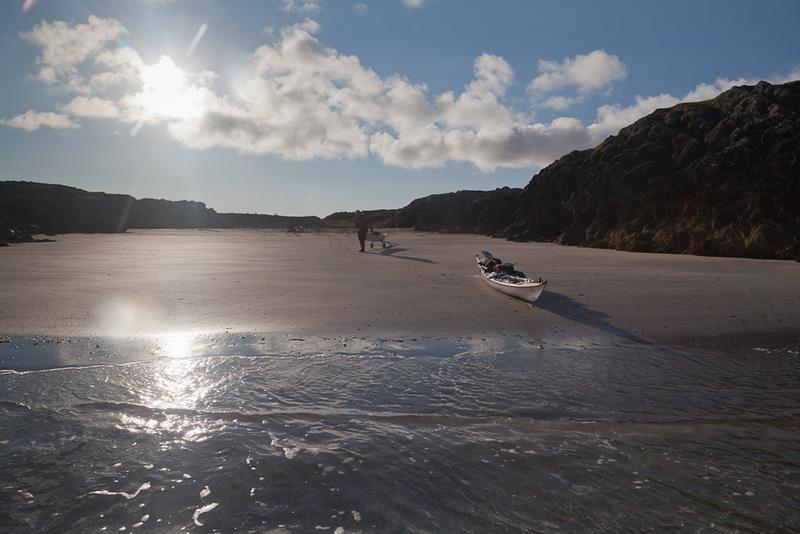 Rounding the point we came across yet another of Tiree's stunning beaches. 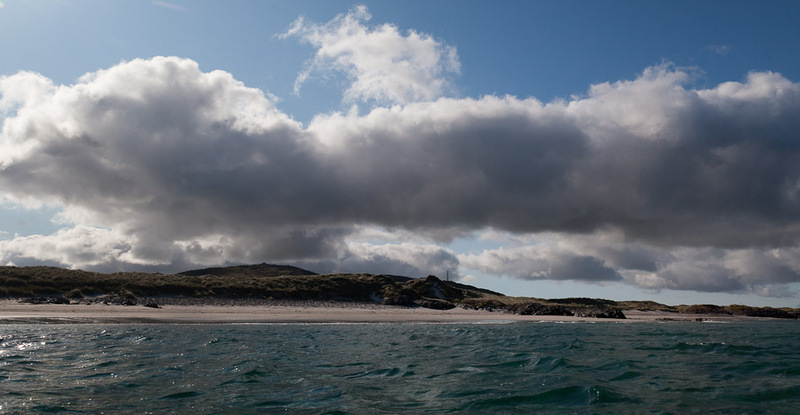 this one is Traigh Chornaig. 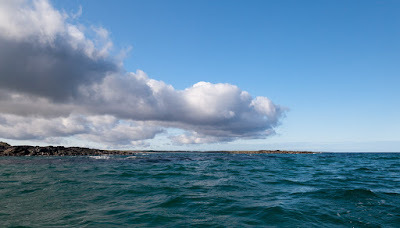 Away to the north, the Cuillin mountains of Skye and Rum broke the otherwise empty horizon. 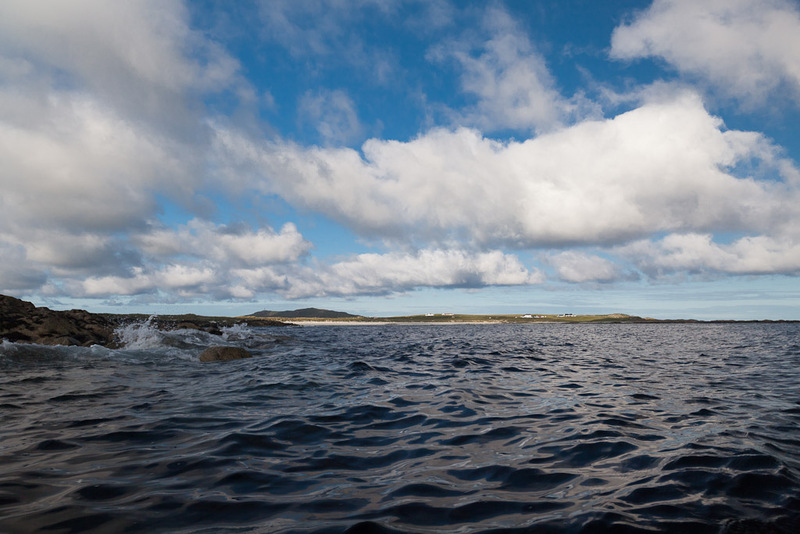 The west side of Traigh Chornaig is guarded by extensive skerries. ...the rocks were breached by Traigh Bail' a Mhuilinn. 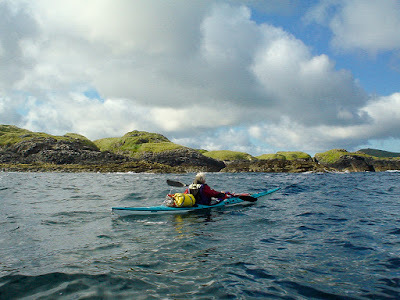 Beinn Hough, at only 119m but Tiree's second highest hill, now came in sight. ...but it was now more a tail wind and it blew us across the wide bay of Traigh Hough. It was only 0900 hours but we had now nearly completed our paddle of Tiree's fantastic north coast, just as the wind kicked in for the day.